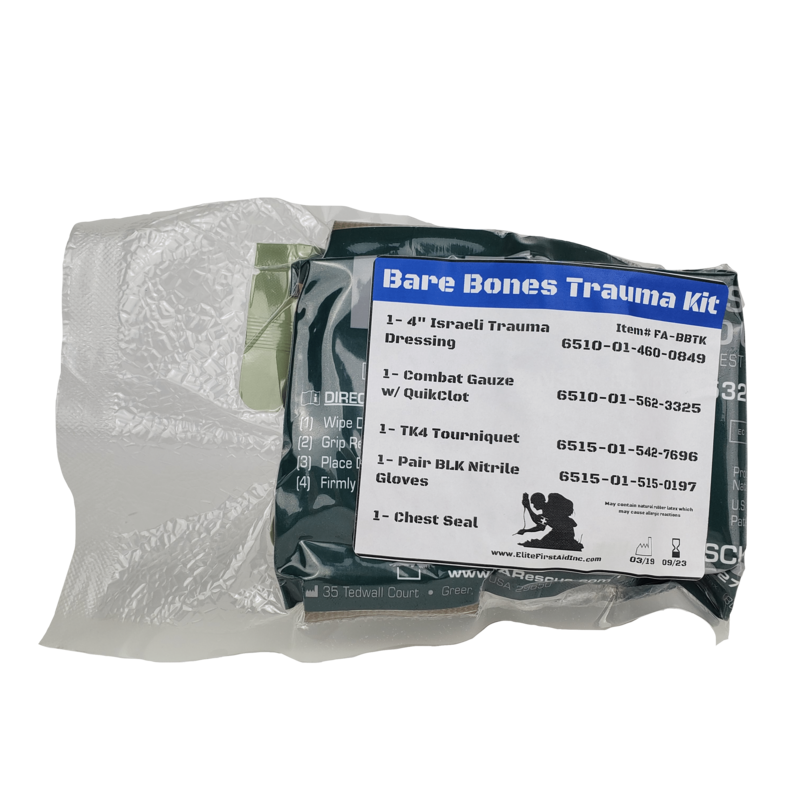 The Bare Bones Trauma Kit provides you with the essential tools to treat a trauma wound. The FA-BBTK comes in a compact vacuum sealed bag with a tear open tab for easy access. We have tested many different combinations of ways to pack the bag, and this gives you the most efficient way to fill the space of vest and cargo pockets. This kits was created in the wake of the number of mass shootings and we just want to put the world back together with so much destruction.